App analytics firm Sensor Tower is out with their latest report, once more showing Apple's App Store trouncing the more widely used Google Play Store in terms of generated revenue. Both of the application shopping destinations showed some serious growth during the first half of 2018 as compared to last year. 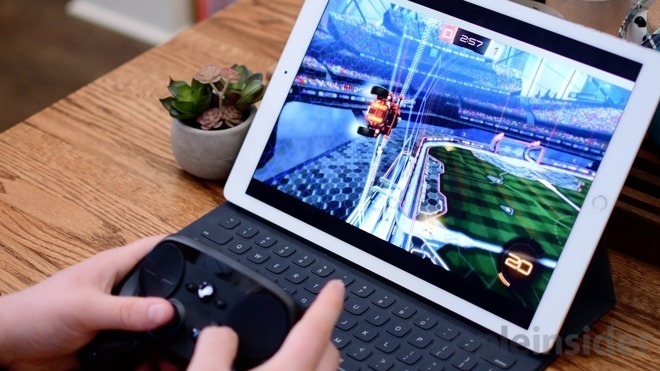 Combined, customers spent $34.4 billion on mobile games and apps from January to June of this year, an uptick from $26.9 billion or 27.8 percent growth year-over-year. App Store customers spent roughly $22.6 billion in that time frame, which is nearly double Google Play's $11.8 billion. During that time, it had less than half the downloads of the Play Store. On one hand, it is impressive that Apple is able to so handily beat Google when Android has a much larger global install base, but it is important to note that Google Play is not yet available in China, whereas the App Store is. Year-over-year, Google Play did manage to slightly edge out Apple, growing 29.7 percent versus Apple's 26.8 percent. Gaming, in particular, shined, growing an impressive 30 percent year-over-year during 2017, representing 82 percent of all app revenue. Looking at 2018, games grew 19.1 percent in the first half of this year, pulling in around $26.6 billion worldwide across both stores, representing about 78 percent of total app expenditure. The new metrics continue to illustrate Apple's dominance in the field. In April, Sensor Tower observed App Store customers installed an average of 45 new iPhone apps in 2017, up from about 41 during the preceding year.